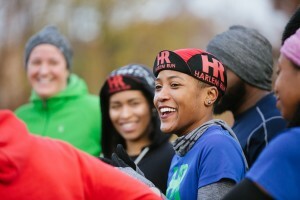 Participants often refer to the club as “a family.” But Harlem Run has also been called “a movement,” “a vehicle for social change and empowerment,” and—by one clever headline writer—“the Harlem Run-aissance.” Featured in social media and such mainstream media as Runner’s World, Black Fitness Today, ABC7 Eyewitness News, NY1, the TCS NYC Marathon site and espnW, Harlem Run is so famous that tourists visiting New York looking for a more authentic experience have been known to join a session. Désir herself is not interested in the limelight. She’s just a person who has recognized—through the ups and downs of her own life—the power of running to bring happiness and fulfillment, and she wants to share that with others. Running first brought joy to Désir in elementary school. She was that girl who would race the boys at recess and beat them all. 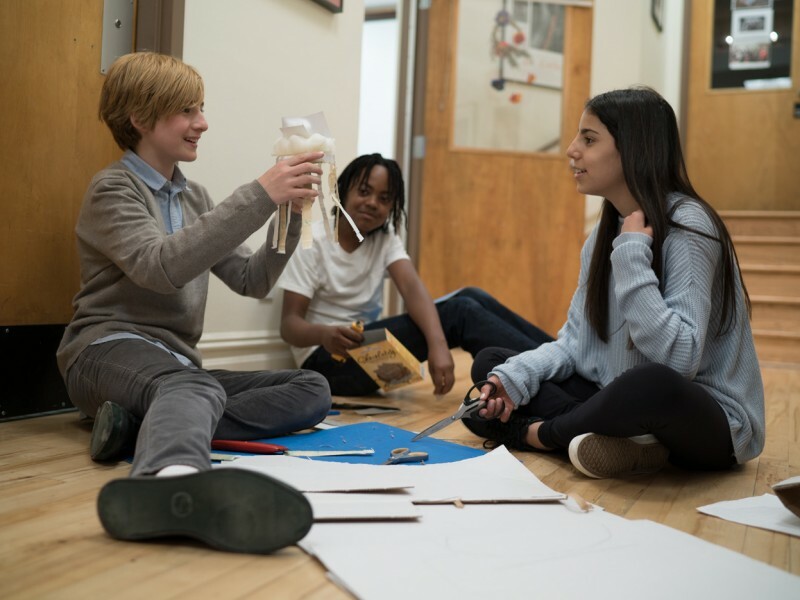 As a new sixth grader at D-E, Désir found her niche by joining the Middle School’s soccer and track teams. 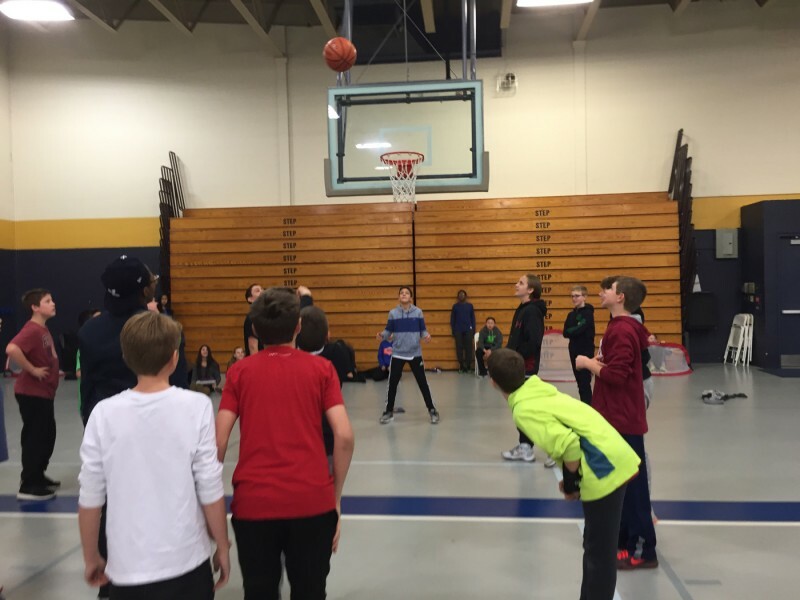 “Doing sports was a way to feel comfortable at Dwight; being a strong athlete was a way to connect with the community,” she explains. After D-E, Désir opted not to participate in athletics at Columbia University. Graduating in 2007, she worked as a paralegal at a law firm, and then went back to Columbia to obtain a master’s degree in Latin American & Caribbean Studies in 2011. But not all was well. A bad relationship, the lack of an ideal job, and her father’s ever-worsening dementia helped to plunge her into depression. 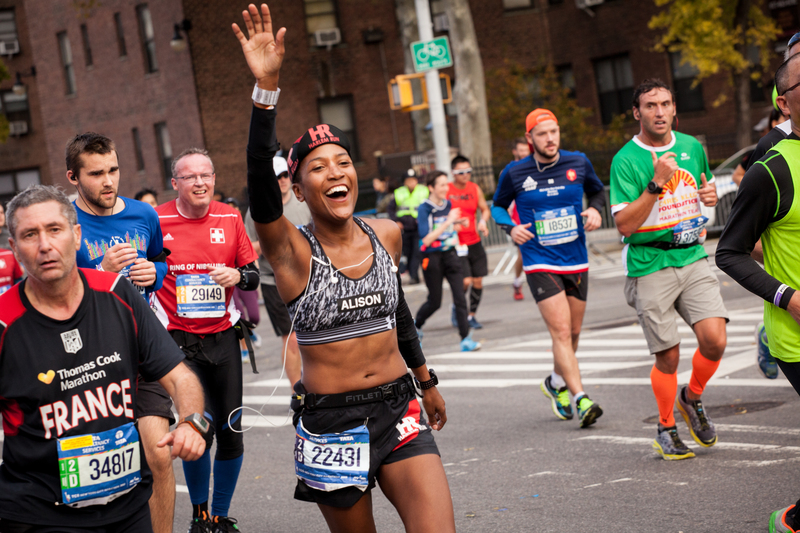 Alison Desir ’03 passes by the Harlem Run cheer station while running the 2015 NYC Marathon on Nov. 1, 2015. Désir ended up running five races in 2012, and there was no turning back. 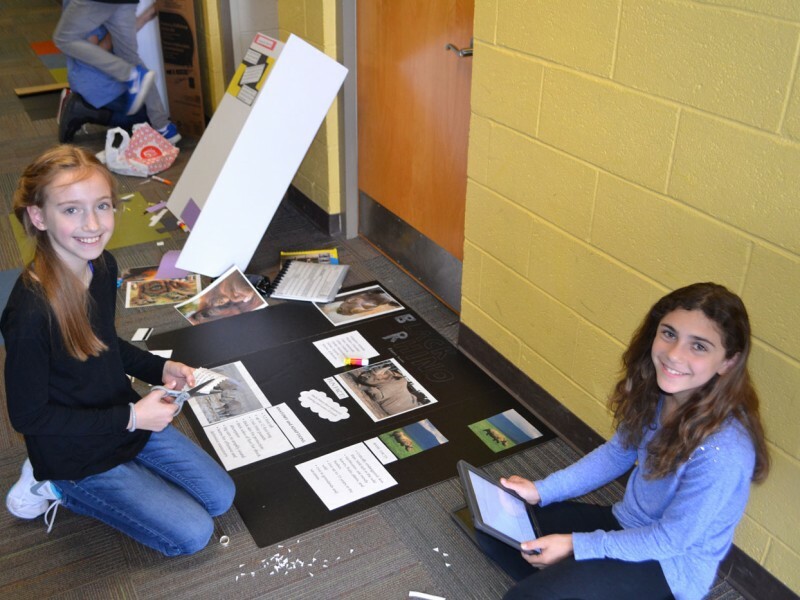 Having gained a following as a blogger, she wanted to do something more tangible. 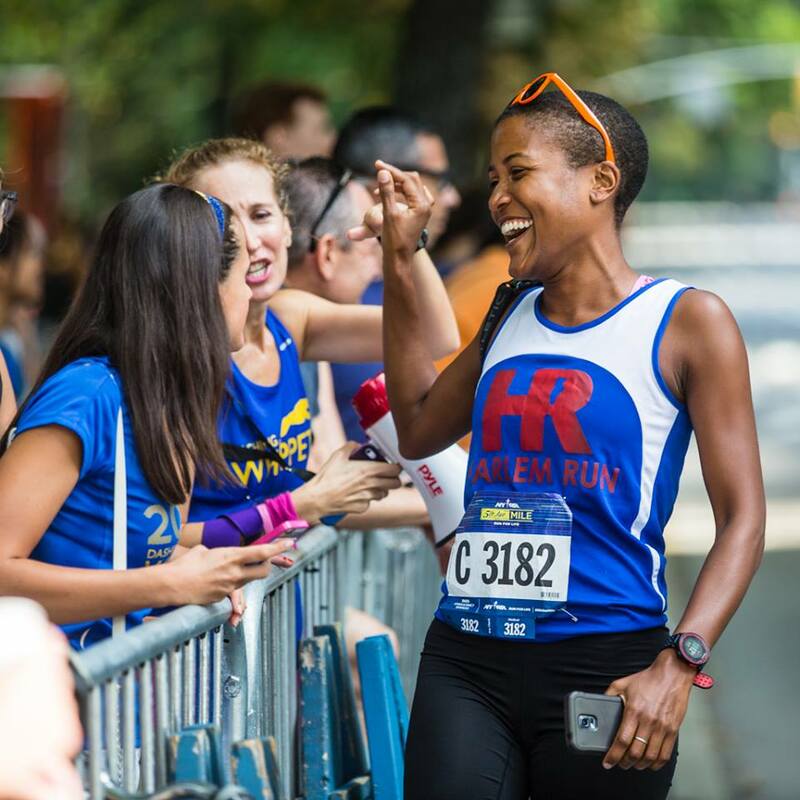 In the fall of 2013 she started the Powdered Feet Run Club, which became Harlem Run a year later. Early on, she would be ecstatic if one person showed up; but social media began to spread the word, and soon a core group of runners began attending. After the May 2015 HarlemRun.com launch party, 30 runners came. Warmer weather brought out even more runners, sometimes as many as 100 to 150. The phenomenon caught the attention of the local media and, eventually, also the notice of a billion-dollar sportswear company. Harlem Run now boasts a partnership with Under Armour.